Photo courtesy of Mohawk College. This year’s HRAI Symposium will take place April 23 at the Joyce Centre at Mohawk College, 135 Fennell Avenue W., Hamilton, Ont. The theme is how Canada’s planned transition to a low-carbon economy presents a significant opportunity for the HVAC/R industry and an enormous challenge. The event also includes a tour of the host building, which was awarded the 2018 Environmental Sustainability Award. For more information, please visit www.hrai.com or email Caroline Czajko at cczajko@hrai.ca. The Calendar in the March issue of Plumbing & HVAC had an incorrect date for the HRAI 2019 Symposium. 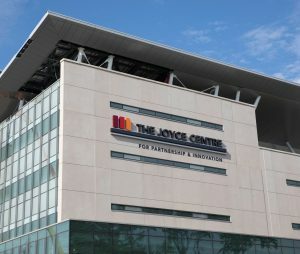 The event will take place April 23 at the Joyce Centre at Mohawk College in Hamilton, Ont. We apologize for any confusion caused by our error.